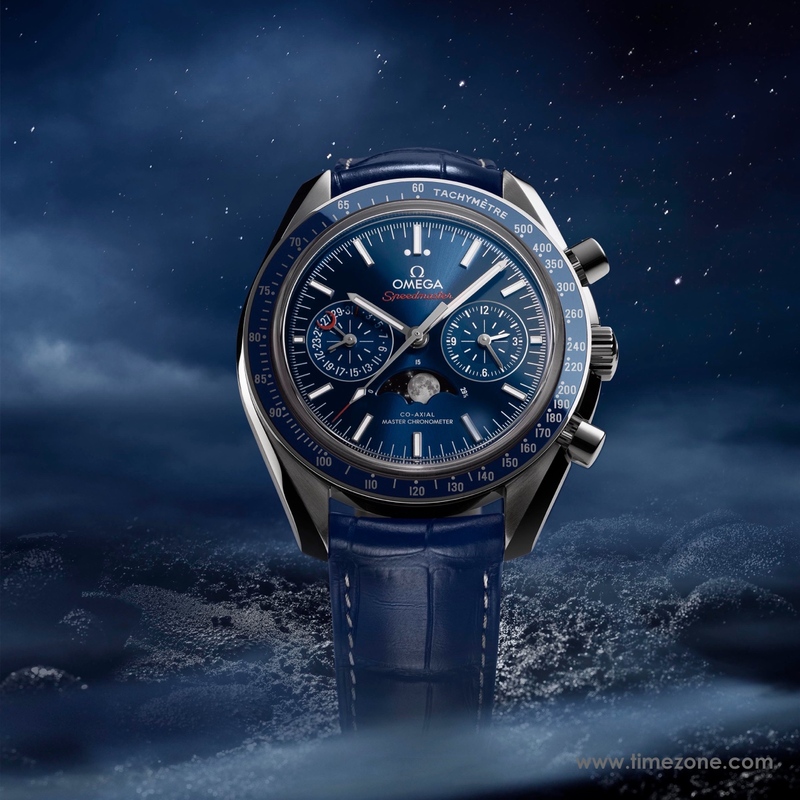 The first thing that strikes you about the Speedmaster Moonphase Chronograph Master Chronometer is the the realistic, high resolution moon in sharply contrasting black and white. As detailed as a NASA photograph, a closer look reveals an astronaut's footprint. 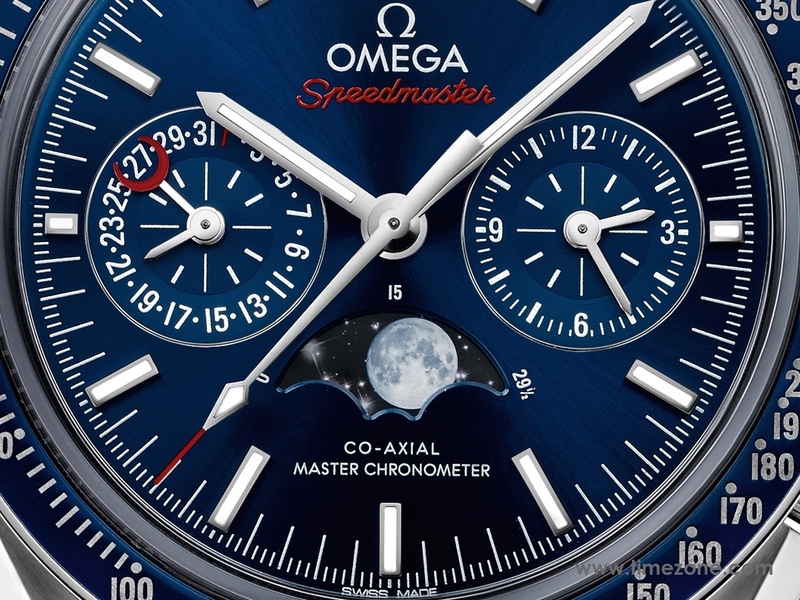 As a Master Chronometer, the Speedmaster Moonphase achieves OMEGA's exacting new standard of testing, set in late 2015 by the Swiss Federal Institute of Metrology (METAS). Its highly accurate and robust calibre 9904 automatic movement displays the phases of the moon in a lunar month of 29.5 days and only needs adjusting after 10 years, and all it takes is a few turns of the crown. 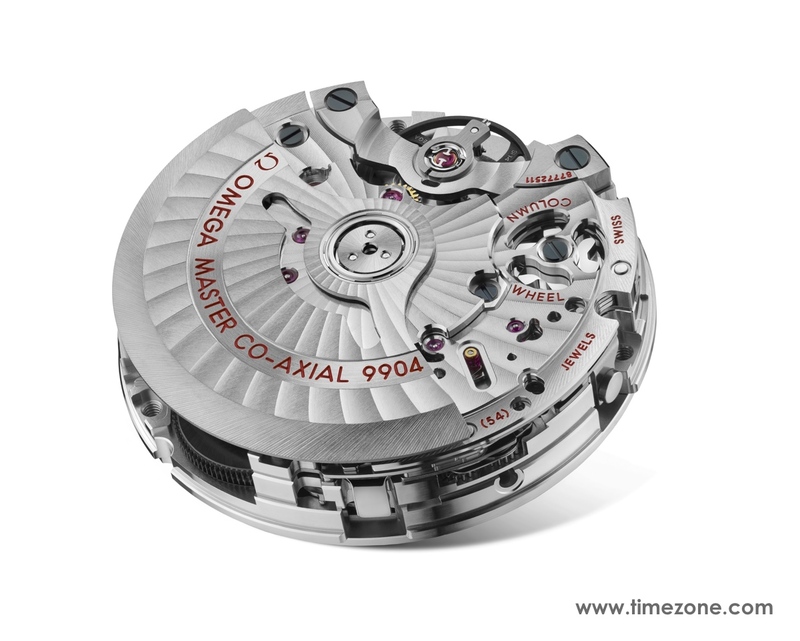 The new calibre 9904 movement is made of 368 component parts and marks the start of a whole new era in watchmaking. 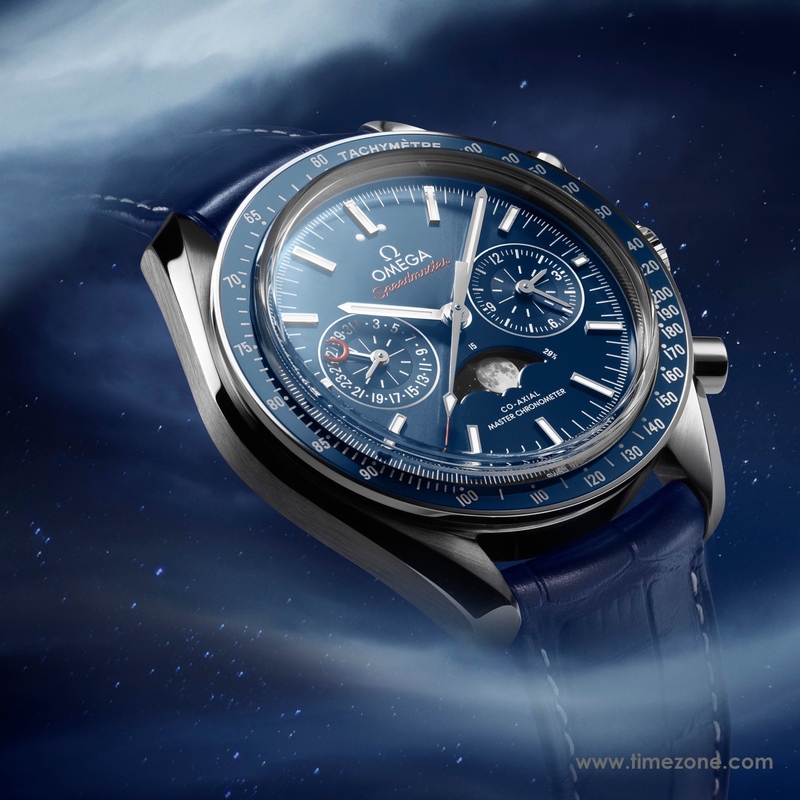 As the Moonphase is both a Master Co-axial and a Chronometer, it is certified as a Master Chronometer as tested by METAS. 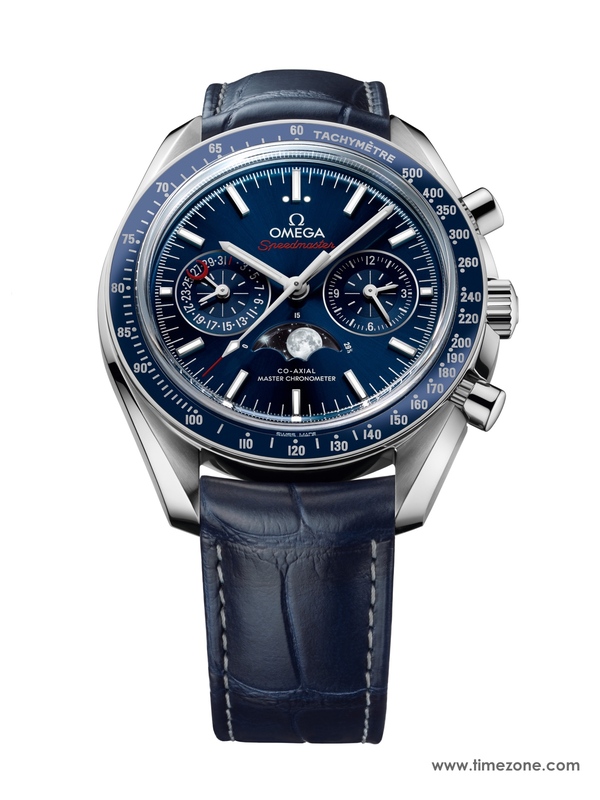 On the dial, the Speedmaster Moonphase is balanced with twin two-hand subdials that create a symmetrical look. 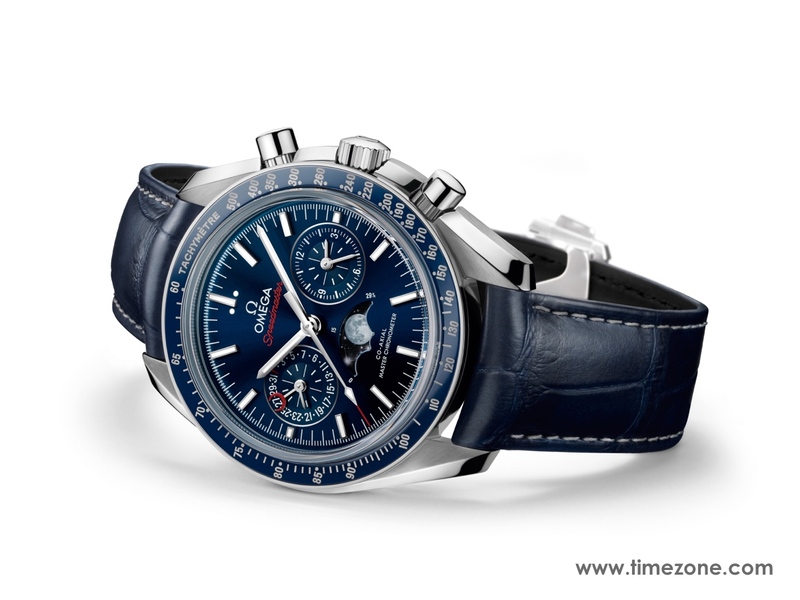 The Speedmaster Moonphase has many other striking features, including classic Speedmaster hands, a sun-brushed blue dial, ceramic bezel and 44.25 mm stainless steel case. 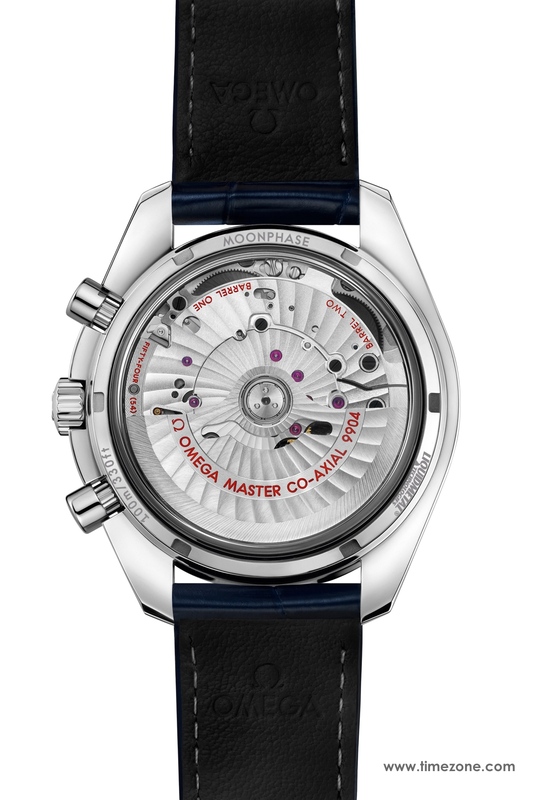 Another Speedmaster first, Liquid Metal has been used on the Tachymeter scale, and a closer look reveals rhodium-plated circles on the sub dials. 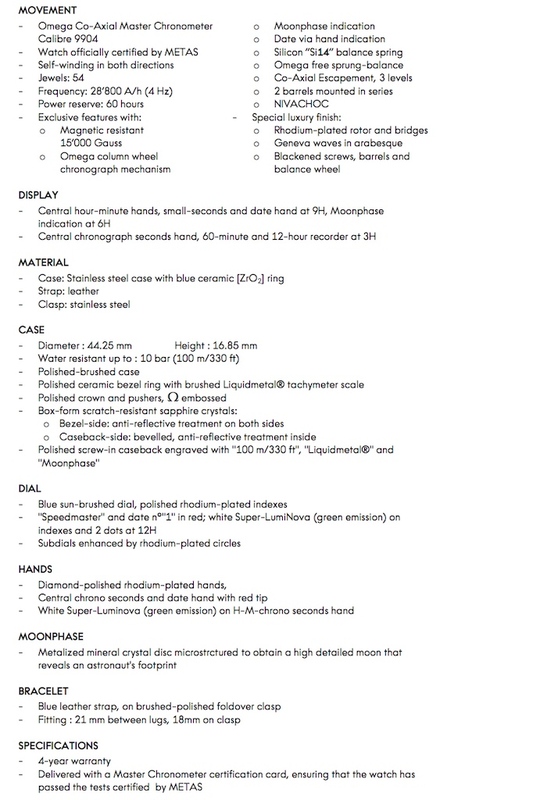 To complement its blue elements, the timepiece is fitted with a blue leather strap secured by a deployant clasp.